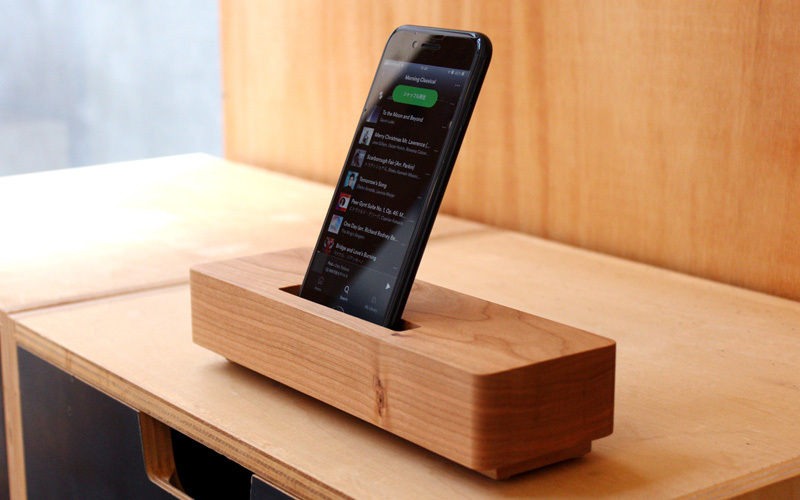 With this wooden dock, your smartphone turns into a portable player with speaker. Working as amplifier, hollowed structure inside gently increase the volume by having the sound resonated. 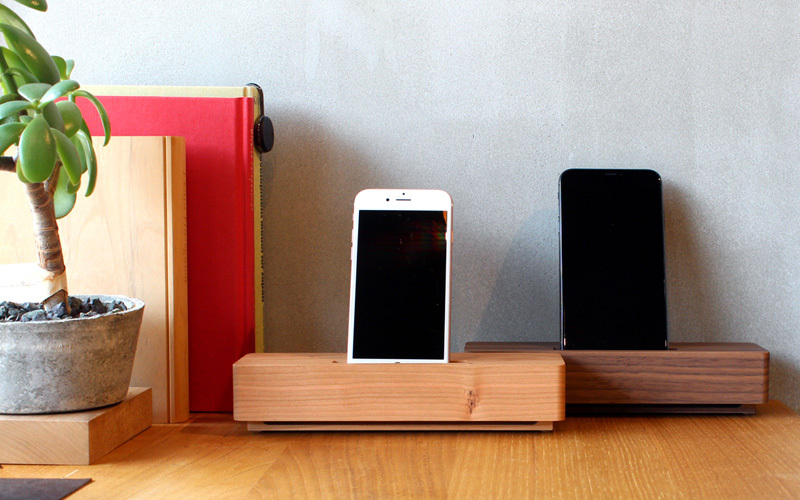 You can bring it any place you like without warring about the remaining battery. 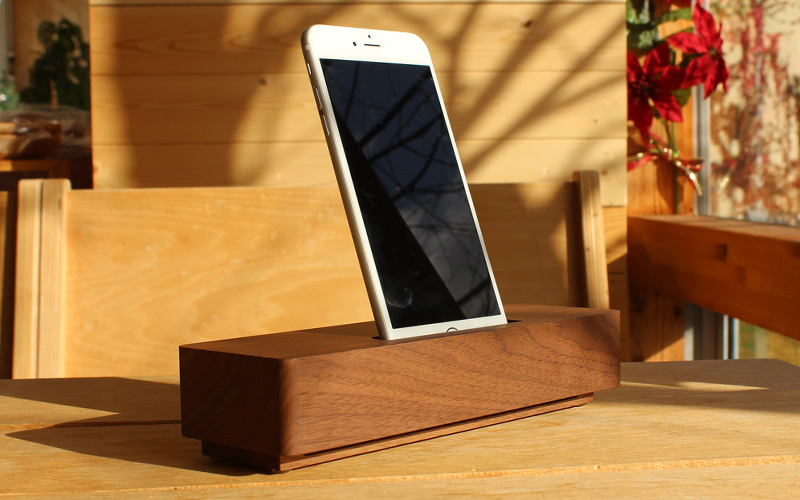 When not in use, it becomes smartphone stand with profound texture of wood.